Scope Definition: Defines the extent and limits of the processes to be optimized, based on a Value Chain assessment and collaborative input between trading partners. 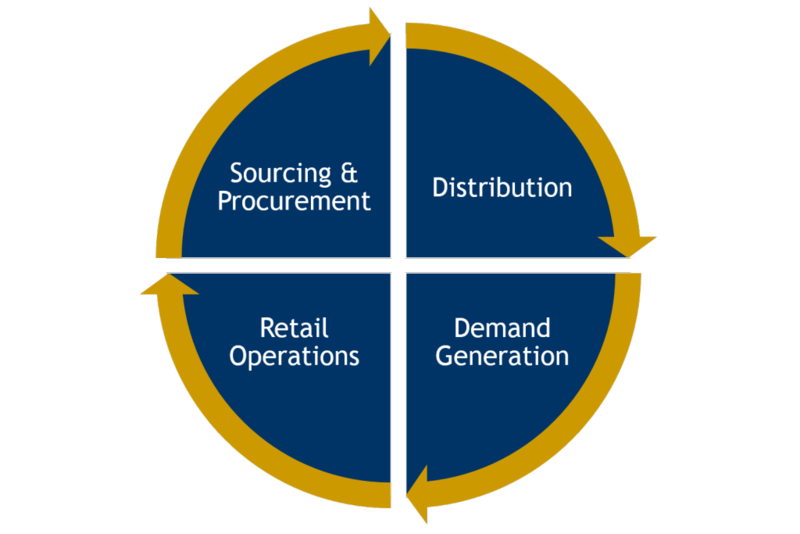 Examples of these processes include: Demand and operational planning, Forecasting, Distribution and Store operations processes. Process Documentation: TPG documents each work process within scope and identifies inputs, outputs, and metrics. Process analysis then identifies performance against best practices, and ideal loss targets.